If you’re wondering what kind of gas do generators use, look no further! In this week’s blog post, we’ll give you a brief rundown of each fuel type and what they offer. If you need help deciding which fuel type will work best for you, feel free to contact the experts at Woodstock Power. We’d love to help! This fuel type is one of the most common answer to the question “what kind of gas do generators use.” Known for reliability, diesel-fueled generators run on readily available fuel and easy-to-store onsite at your facility. Diesel generators serve as great backup for mission-critical functions since they have a very fast kick-in time. Downsides of diesel include it having a higher level of emissions than other options, which may cause issues for passing EPA standards. Diesel fuel is also limited to the amount of fuel in the tank, as diesel fuel must be supplied one way or another. Diesel generators usually have an on-board diesel base tank that acts as the total supply of diesel fuel for the generator. When the fuel is depleted, the tank must be refueled. This means that businesses and facilities that rely on diesel fuel for their generator must make ensure that there are contingency measures in place for fuel delivery and resupply measures in the case of an extended power outage. 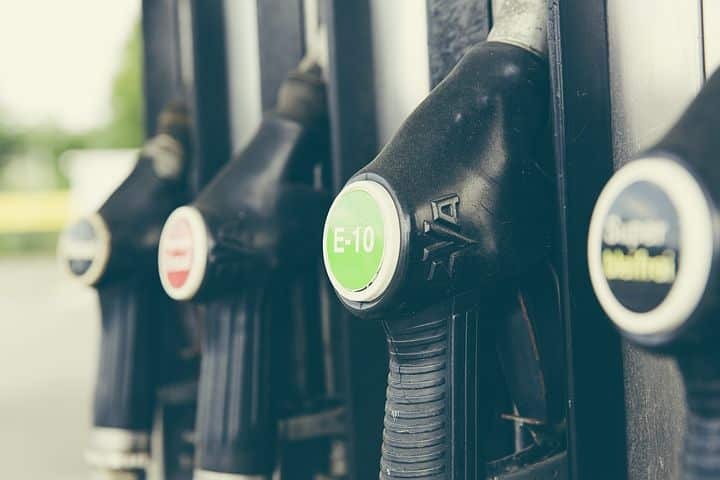 With this in mind, there are solutions around this, as diesel fuel companies can drop off day-tanks, which are portable diesel base tanks that are designed to help diesel generators extend their run-time, without having to focus on refueling the base tank. Also, diesel doesn’t store well over long periods of time, so further steps may need to be taken to ensure stored fuel is ready for use. Natural gas burns cleaner than diesel, resulting in lower levels of emissions. Furthermore, they typically cost less than diesel generators. Disadvantages to choosing natural gas include the inability to store fuel onsite. Natural gas generators are connected directly to the local natural gas pipeline, which means that fuel storage may not be a concern when compared to diesel generators, but there can be potentially delayed start times when used as backup generators. This can cause temporary interruptions in operations. Additionally, during the event of a natural or man-made disaster, such as earthquakes, hurricanes, tornadoes, etc., utility companies usually shut off the natural gas supply first to avoid potentially hazardous fires and explosions due to natural gas being highly flammable. Ideal for remote sites where other types of fuel may not be readily available. Propane generators are typically smaller than other types, but larger sized units can become quite costly. Propane also stores better than diesel fuel, because it is a liquid that converts to gas. Disadvantages include the fact that propane is highly flammable and combustible (read explosive), due to the pressurized tank that is it stored in. Propane generators are also more susceptible to the elements. This is not so much so due to the gas, but the generator regulator. In cold weather, regulators may freeze, which will render the generator unusable until the regulator defrosts. Also, if you are using a generator that uses propane, like diesel fuel, you will need to also be mindful of propane gas deliveries. Combining features of diesel and natural gas generators, units that run on bi-fuel or tri-fuel offer flexibility. These generators may be convenient for meeting EPA standards as they have lower emissions than standard generators. However, these units are not a standard unit type and not all major manufacturers produce this type of generator. What Kind of Gas Do Generators Use? Contact Woodstock Power! If you need more information on what kind of gas do generators use, again please feel free to contact us at Woodstock Power. Our friendly and knowledgeable staff would love to help you.